Education: 1969.4-1979.3 Department of Fiber Chemistry, Institute for Chemical Research, Kyoto University. 1979.4-1981.3 Researcher of Japan Society for the Promotion of Science. 1981.4-1991.3 Research Associate at the Research Center for Biomedic Engineering, Kyoto University. 1991.4-1995.12 Adjunct Professor at the Research Center for Biomedical Engineering, Kyoto University. 1995.12-2012.3 Associate Professor at the Institute for Frontier Medical Sciences, Kyoto University. 2012.6-present Professor at Center for Fiber and Textile Science, Kyoto Institute of Technology. It is called the age of regenerative medicine in the twenty-first century. The role of the biomaterial is very important for the regenerative medicine. The biomaterials can be classified into two categories of non-biodegradable and biodegradable. Representative synthetic polymer of the biodegradable biomaterial are polyglycolic acid and polylactic acid. 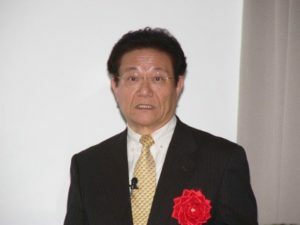 I started basic and applied research concerned biomaterials from 1980, and the base of the biodegradable and non-biodegradable polymer was established, in addition, many medical devices are developed for 35 years until now, and it is widely applied clinically in not only Japan but also worldwide at present. 1. The design, synthesis and evaluation of the biodegradable polymers. 2. The bioabsorbable membrane for tissue and bone regeneration. 3. The design, synthesis and evaluation of the artificial implant with periodontal ligament. 5. The preservation of the mammalian cells, erythrocyte, and platelet. 6. The research on the preservation of the various tissue and organ. 7. Polyethylene for artificial joints with high wear resistance.